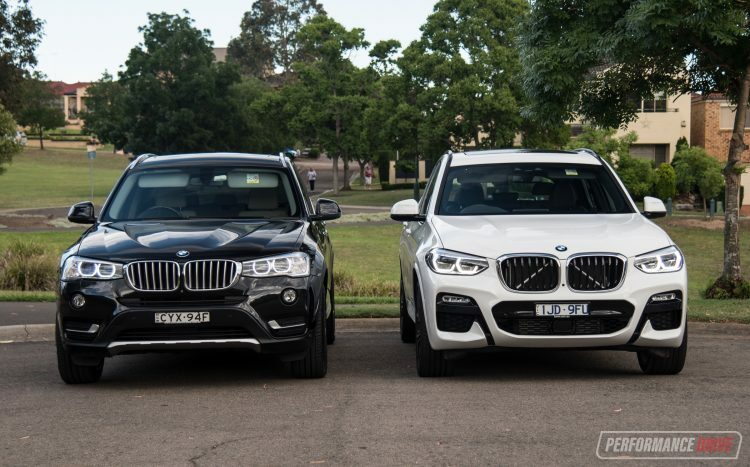 The 2018 BMW X3 has been a long time in the making. But for good reason. It’s got very big shoes to fill. Shoes that ended up evolving for over 10 years with the previous generation. For the new model there’s a new platform, more up-to-date technologies inside and out, and more power from the engine. 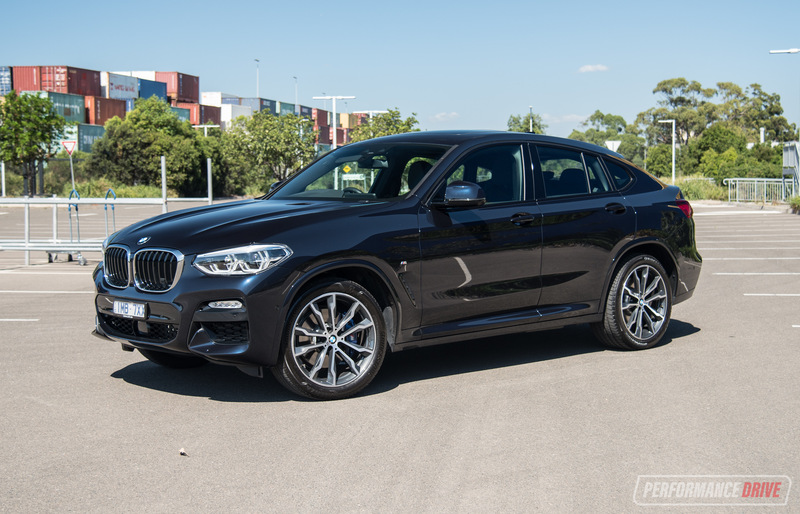 For now, the xDrive30d is the flagship model before the X3-first M40i arrives in 2018. 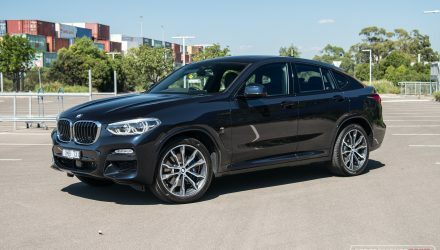 Existing X3 owners will be familiar with the 30d sitting at the top though, as it was the flagship for the previous two generations (in Australia). Prices start at $83,900, which is not much higher than the just-gone model which retailed from $81,000. 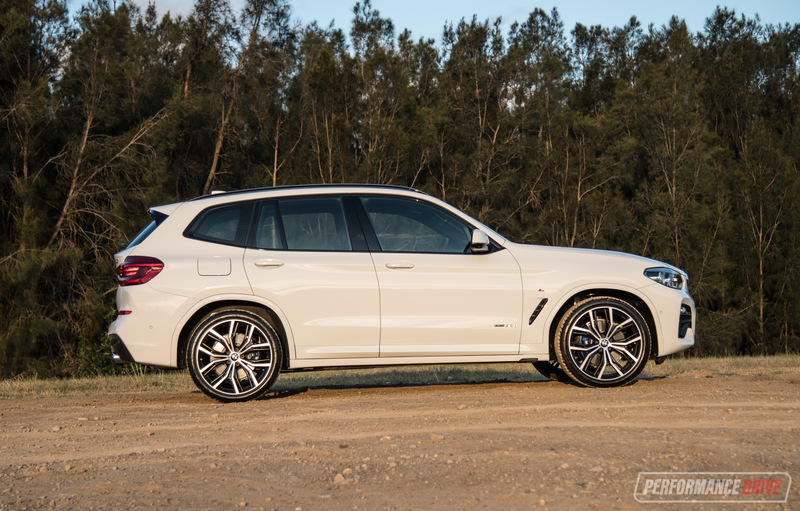 At the entry level end, the 20d starts from $68,900, or about 1100 bucks more than the previous model (all excluding on-roads). 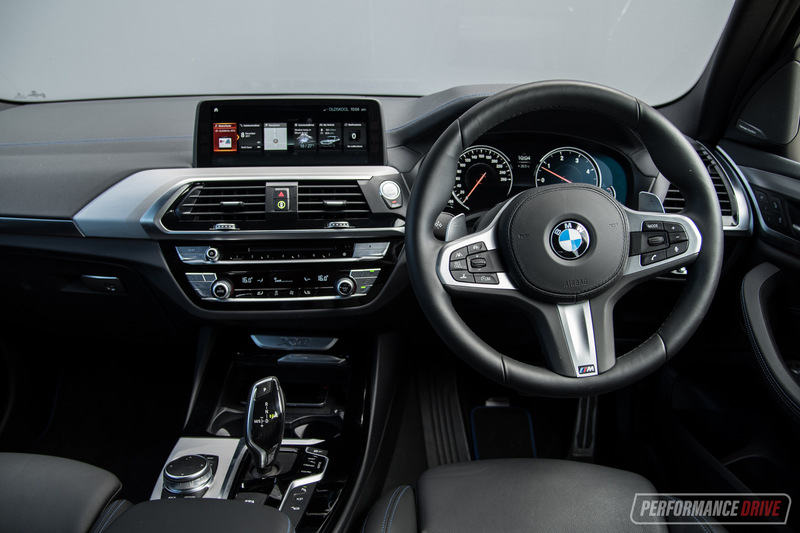 BMW interiors are evolving nicely, with plenty of tradition still there for the returning customers but also loads of modernity to help attract new ones. 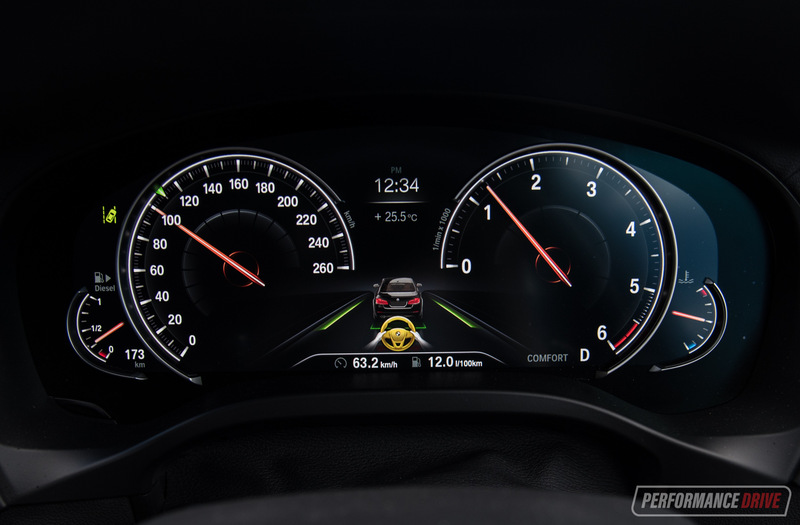 For example, the instrument cluster is now pretty much fully digital but its design is clearly inspired by the traditional twin-dial setup that has been in use for decades. 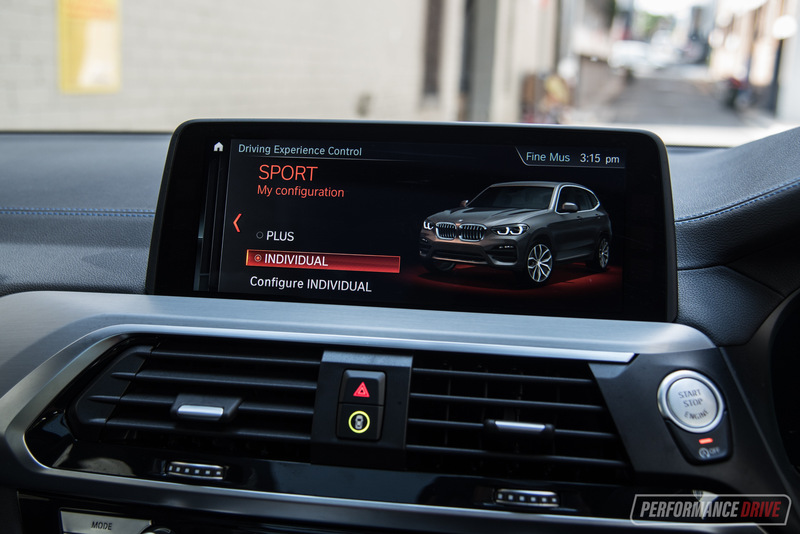 Going digital means it is very customisable, with unique displays when flicked into Sport Plus mode, for example. 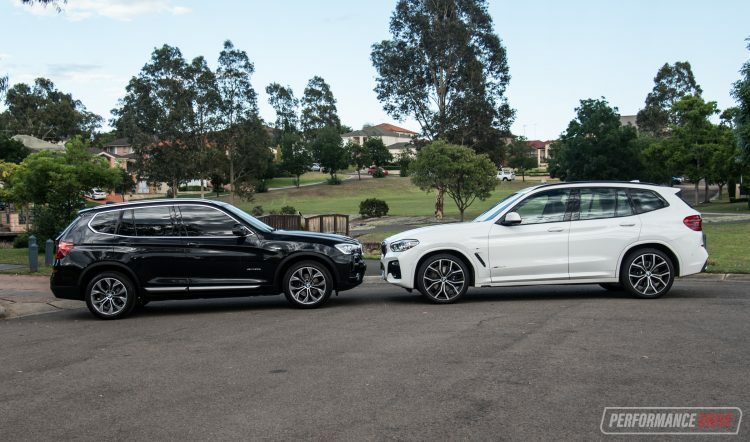 Here we’re testing the xDrive30d with the full M Sport package ($3800). Don’t be fooled by the M badges on the sides; this is not a proper M car. 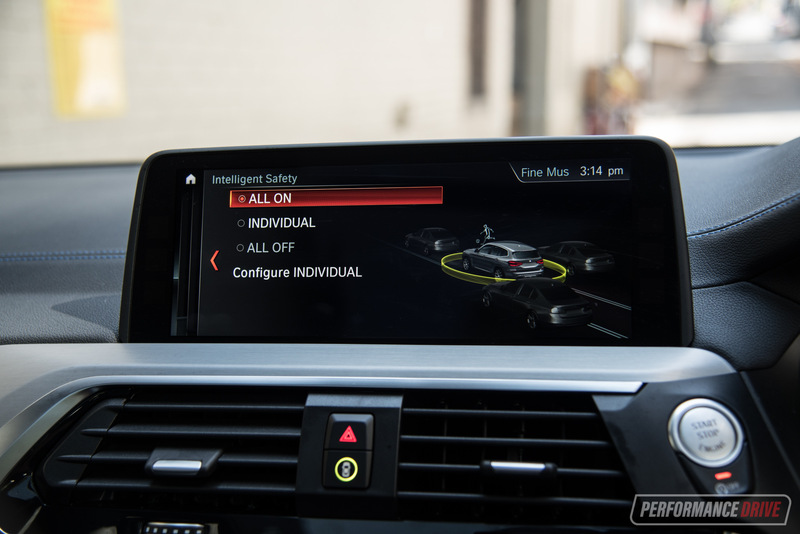 However, the M Sport pack comes with enough bespoke equipment that it should probably be categorised as a separate variant. You get M Sport variable suspension, M Sport (blue-painted) multi-piston brakes, M Sport 20-inch wheels, and a neat aero kit with unique front and rear bumper bars. 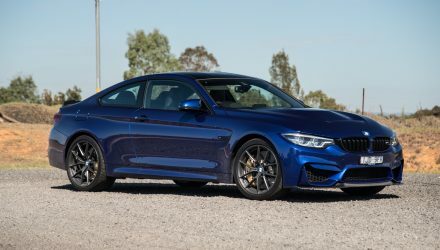 Inside, there are a number of similarly desirable features, including big comfy sports seats in the front with electric-adjustable side bolsters, blue stitching, along with a thick-rimmed M Sport steering wheel with paddle shifters. There’s also some cool alloy pedals for the driver to make it feel like a true sports car. 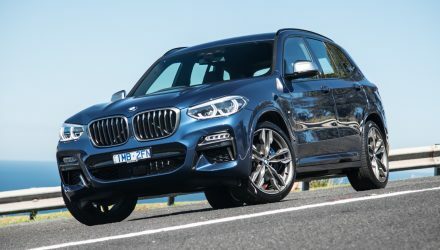 BMW has obviously gone back to the drawing board in developing the new model, and incorporated lots of customer feedback into the plan as the X3 is noticeably more practical and user-friendly than before. And it’s the finer details that really make a difference. 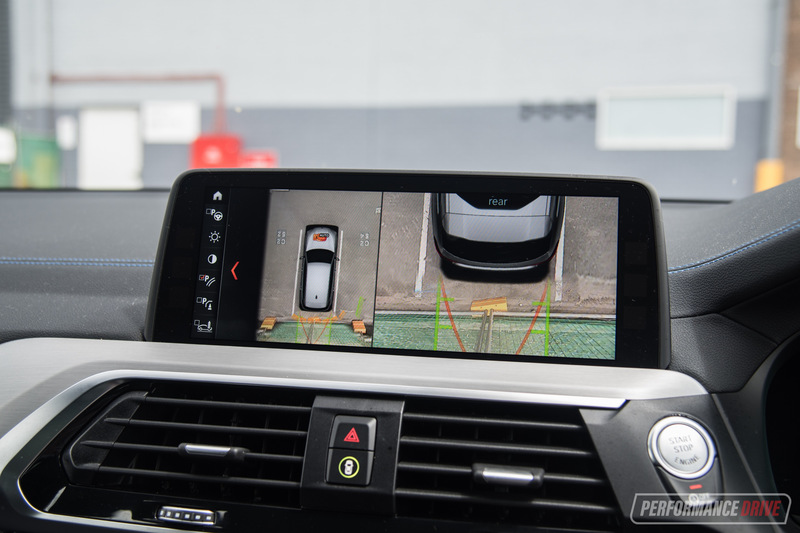 For one, there is now front and front-top view camera displays which automatically come on when the vehicle notices you’re trying to park. 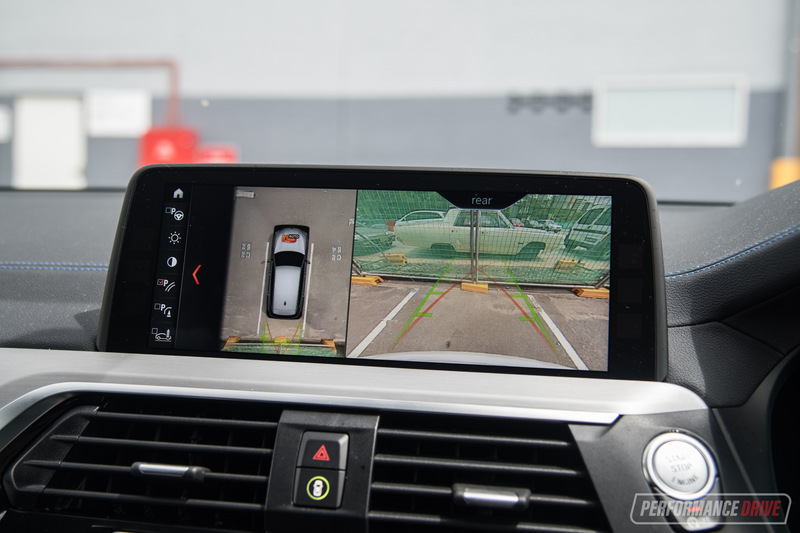 The split-screen also shows the top view and rear view when reverse parking, and then switches to a closer top-rear view as you get closer to the object. It sounds complicated but basically it is a lot more user-intuitive and helpful. 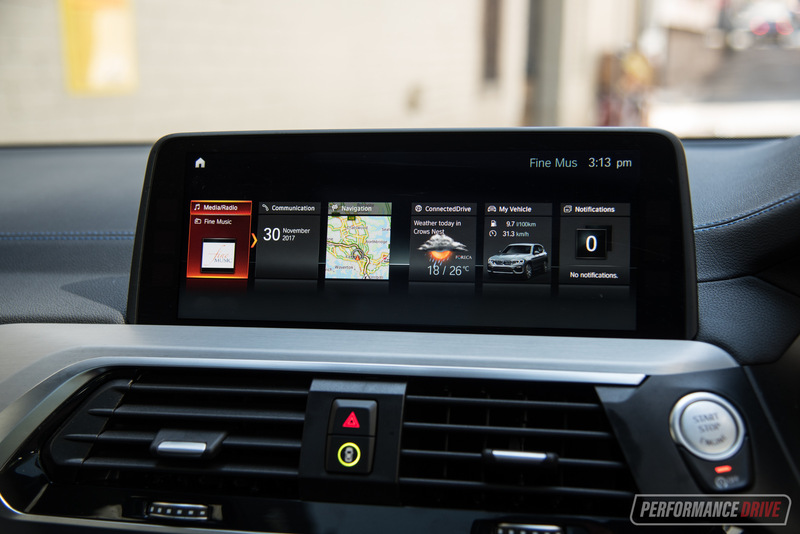 Other great changes over the outgoing model include BMW’s new iDrive6 media interface, switching from a list of functions to more interactive tile-style apps. The same left and right/additional menus functions remain. It is a very good system in our opinion, and perhaps one of the easiest to get used to in terms of these modern hand controller setups. 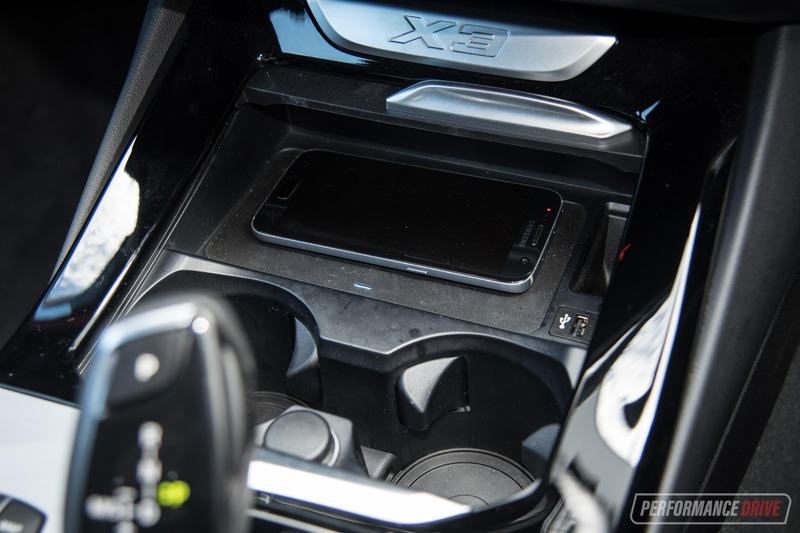 A wireless phone charing pad sits at the front-most area of the centre console. We can confirm it charges Samsung Galaxy S7 android phones with no problem, but it doesn’t work with iPhones. Speaking of phones, the new X3 debuts an awesome new technology called Remote 3D View, which sends a live 3D view of the X3 from wherever it is parked. Gesture control is also optional for the first time on the X3, priced from only $450 on the 30d – which isn’t too bad considering the party trick/show-off potential. 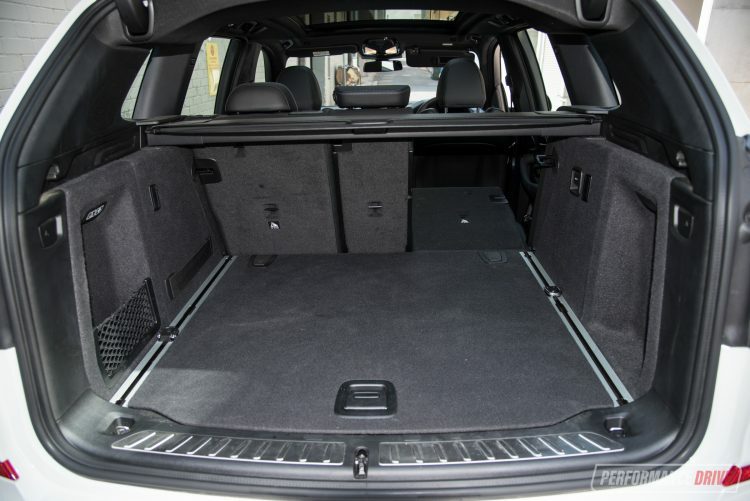 Cargo space remains unchanged from the previous model, sticking with the 550L volume. 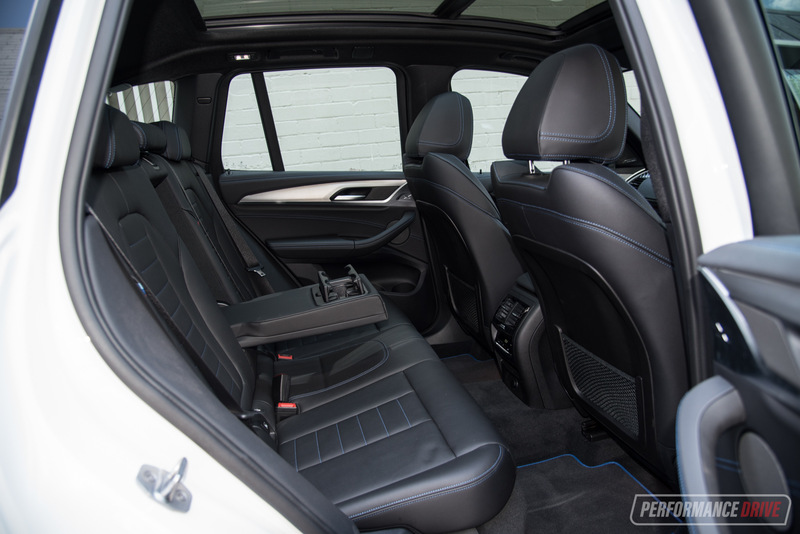 However, BMW has spread apart the secure rails along the floor and rearranged the side pockets. With the rear seats folded down, which can now be done via buttons from the cargo area and from the rear seats (previously only from the rear seats), volume remains unchanged at 1600L. 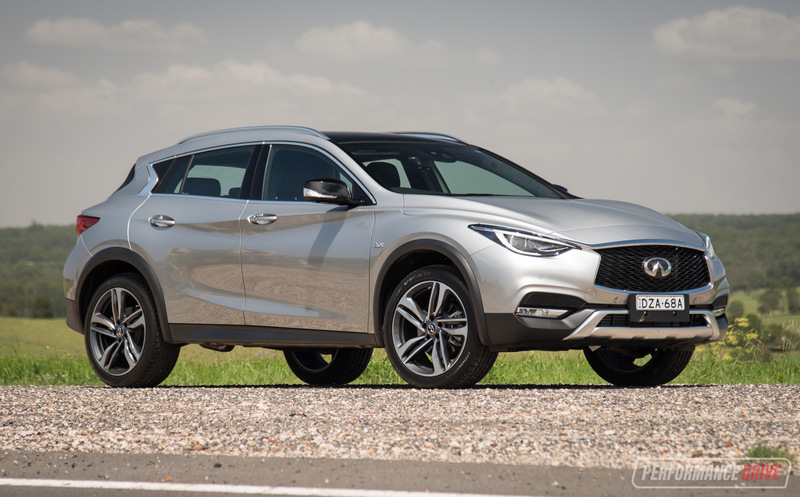 We notice the rear windscreen is slightly smaller on the new model’s tailgate which does impede on rear vision slightly compared with the old model. 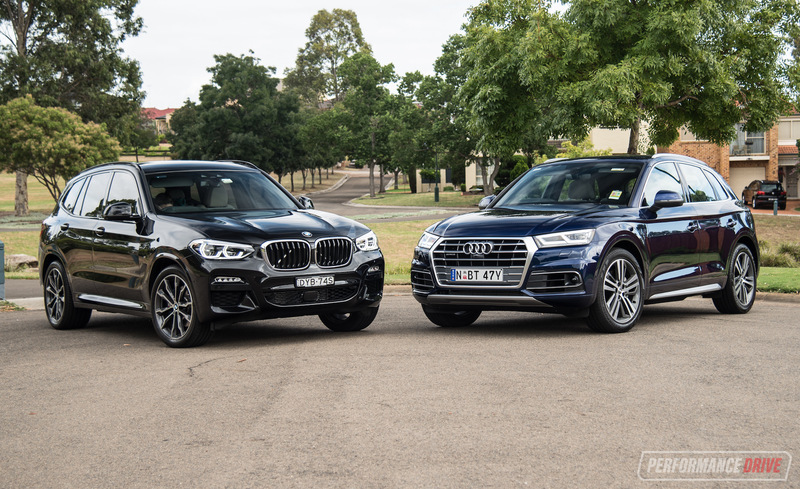 Riding on BMW’s new CLAR platform, which is a cutting-edge, lightweight rear-wheel drive layout that’s also used on the 5 Series and 7 Series, the X3’s dimensions have grown. It is now 4708mm long (up from 4648mm), 1891mm wide (up from 1881mm), and 1676mm tall (up from 1675mm). These are only incremental increases but overall cabin space seems cleaner and more airy, with excellent rear seat space. 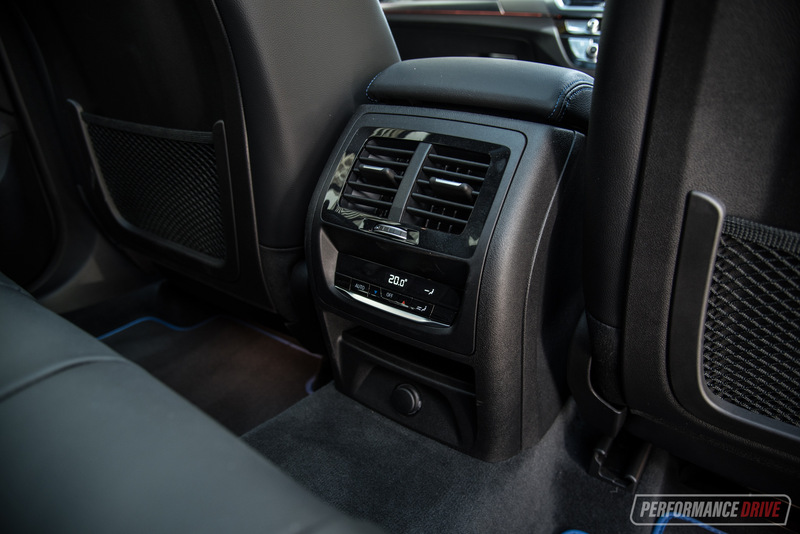 There’s climate control and vents in the back too, but unfortunately there is only one 12V socket in the back against the new-age world of multiple USB ports. Up front, the driving position is typical BMW; spot on. 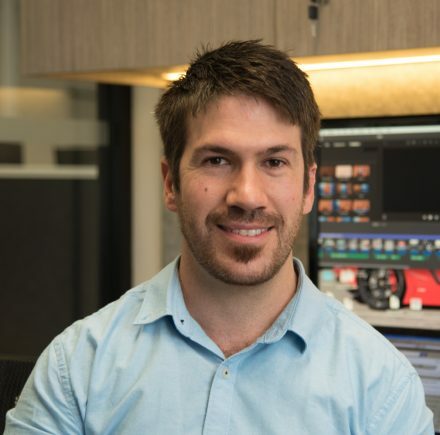 It is a high-riding position however, which is going to appeal to those wanting a textbook SUV view, but perhaps less appealing to those who enjoy a hunkered down position. 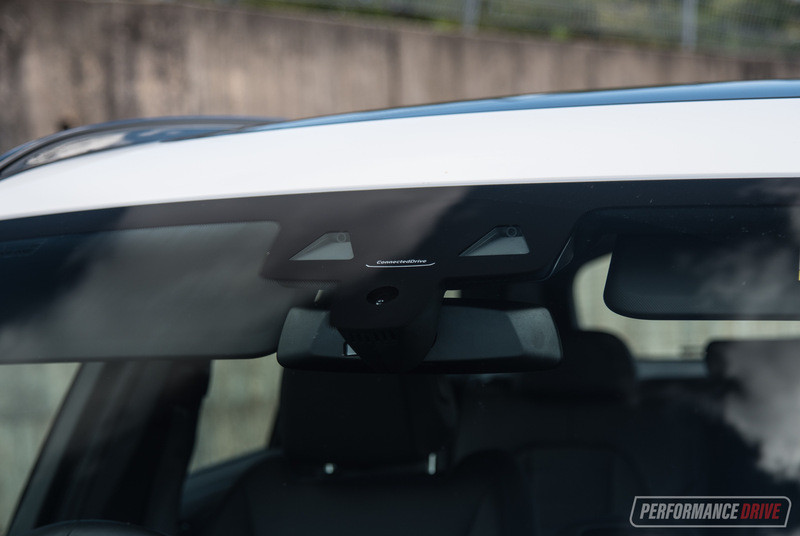 Vision around the A-pillars is improved over the previous model, with the side mirrors mounted lower for a clear view over the top, and decent rear blind-spot vision for a modern vehicle. Safety has improved drastically over the previous model thanks to an inflow of modern technologies – an area the previous model was deficient in. 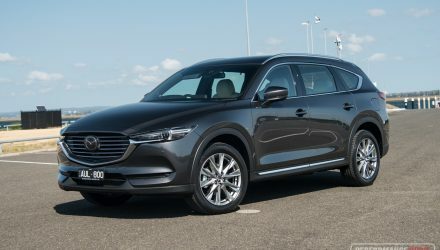 There’s now autonomous emergency braking, lane departure and blind-spot warning, and a standard built-in SIM card with automatic emergency call. Adaptive cruise control with stop-and-go traffic function and autonomous-like comprehensive steering assist is also available. 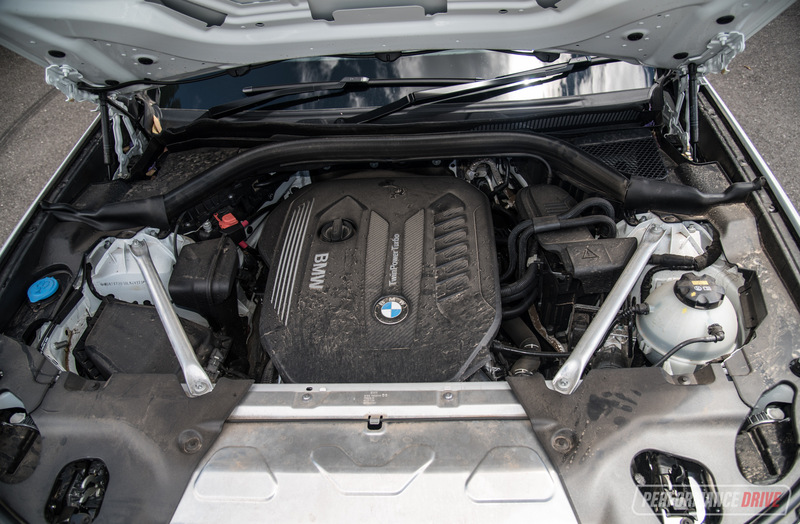 The 3.0-litre turbo-diesel inline six engine has been around for quite a few years now, but BMW has slowly evolved the unit over time and perfected various aspects with each update. 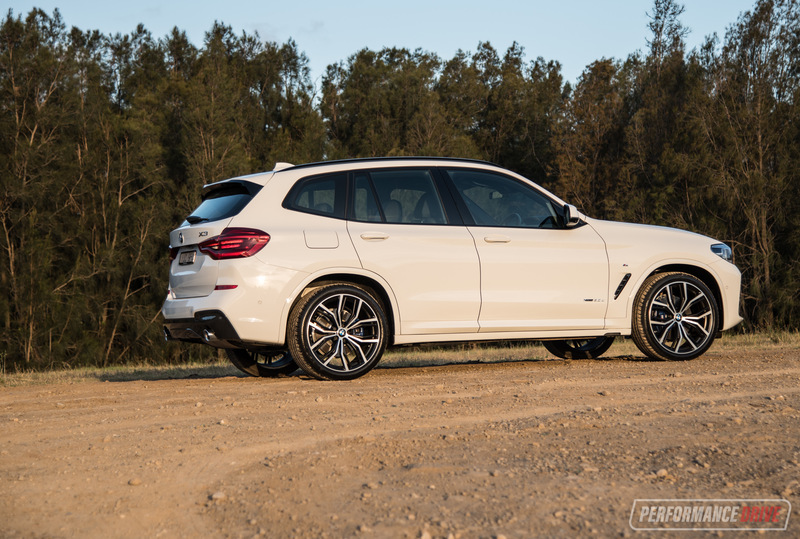 In its latest form it produces an impressive 195kW of power (up from 190kW), and a chunky 620Nm of torque (from 560Nm). Peak power is hit at the same 4000rpm, while the peak torque band actually narrows to 2000-2500rpm (previously 1500-3000). Out on the road the updated engine definitely sounds more refined and smoother. Throttle response is also tightened up so it immediately feels more powerful. 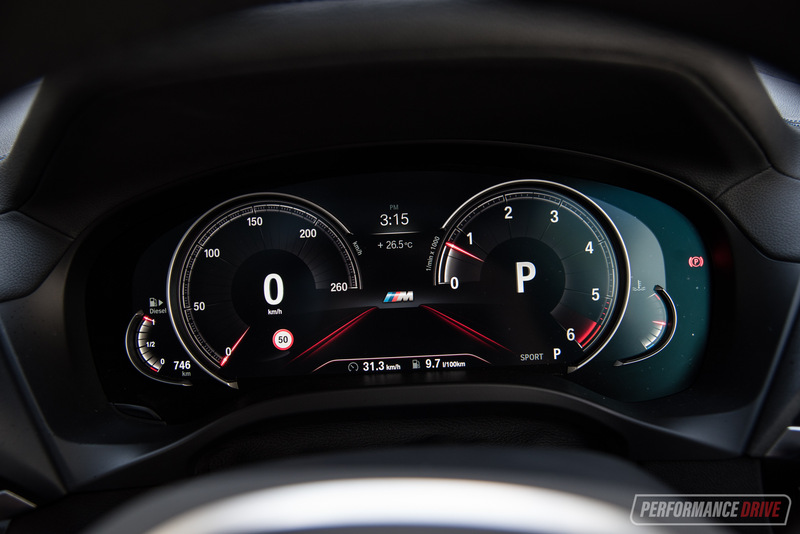 We’re guessing this has a lot to do with the tuning of the driving modes. In the old model the default ‘comfort’ mode was perhaps a little too slack, and then the sport mode sharpened things up. Whereas now it’s like the default throttle setting is somewhere in between the old comfort and sport modes. Being the flagship variant (for now), you won’t be wanting for more performance. This thing is a beast, especially up long strenuous hills; it surges like a train and keeps pulling and pulling without stress. 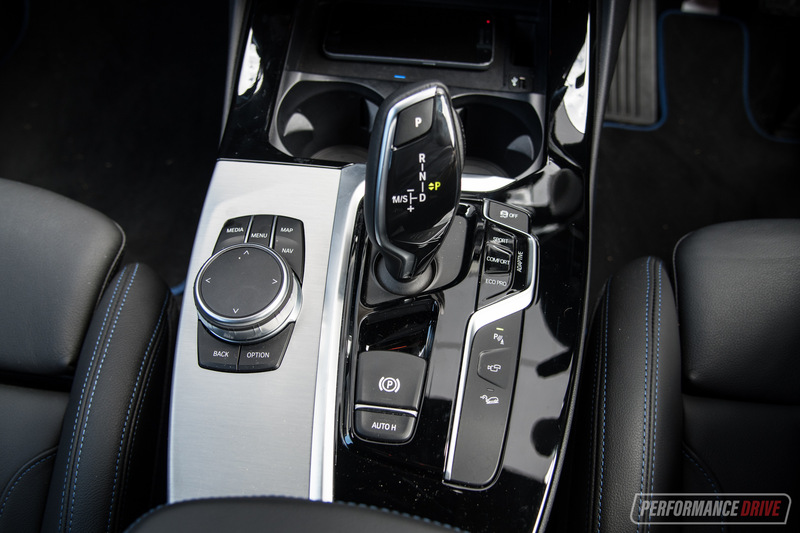 This is in part thanks to the brilliantly-tuned ZF eight-speed automatic transmission. It knows exactly what gear is required for any given situation. It’ll automatically change down turning into right-angle corners, such as streets, and won’t lag and labour in higher gears like some of the other applications of this ZF gearbox. 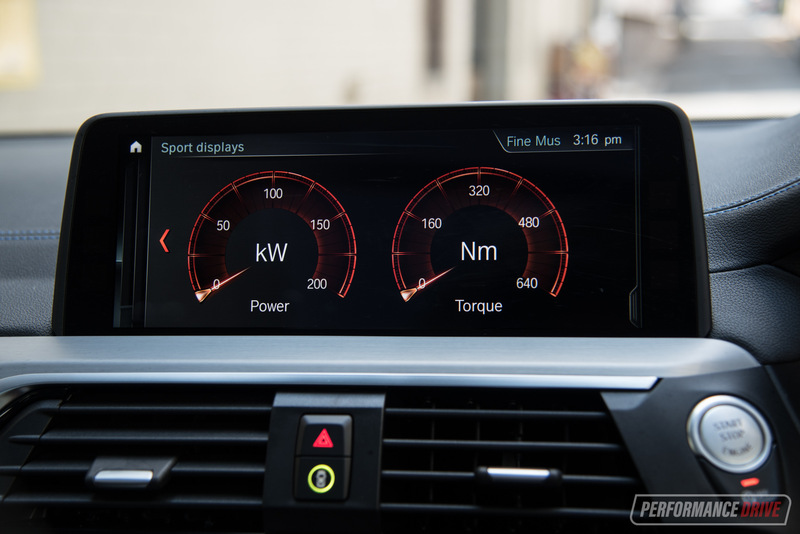 BMW has done a superb job with the calibration. Featuring that new chassis means there has been a lot of weight reduction measures put in place. 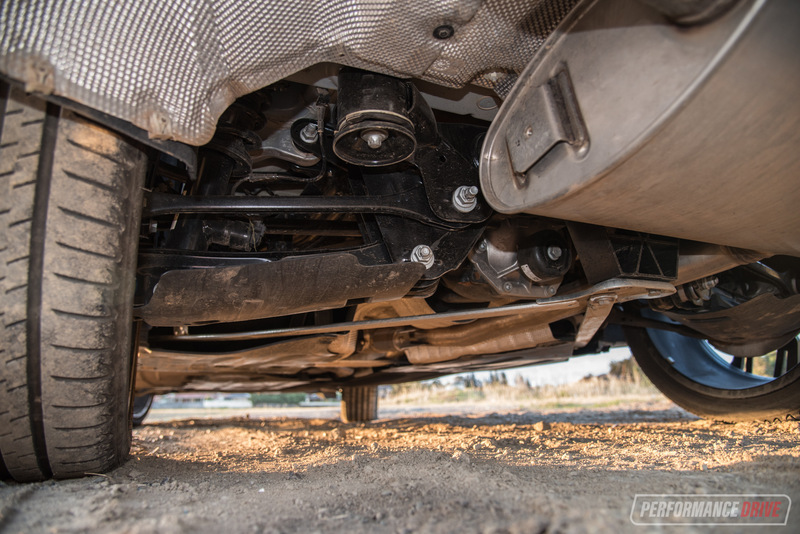 Many of the suspension and chassis components are made from aluminium, while modern composites are also used in some areas. 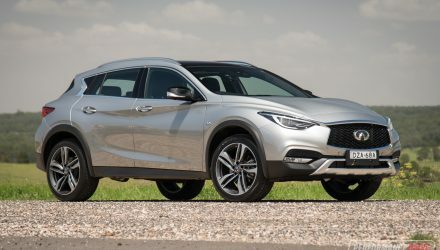 As a result the kerb weight is listed at 1820kg for this 30d, which is 20kg heavier than the previous model (same tare weight of 1772kg is listed). 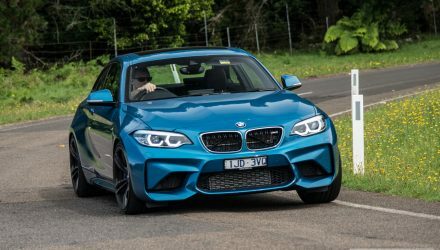 However, considering the increase in technologies and gadgets on board there has been plenty of weight reduction in all of the right areas to help with handling and driving dynamics. 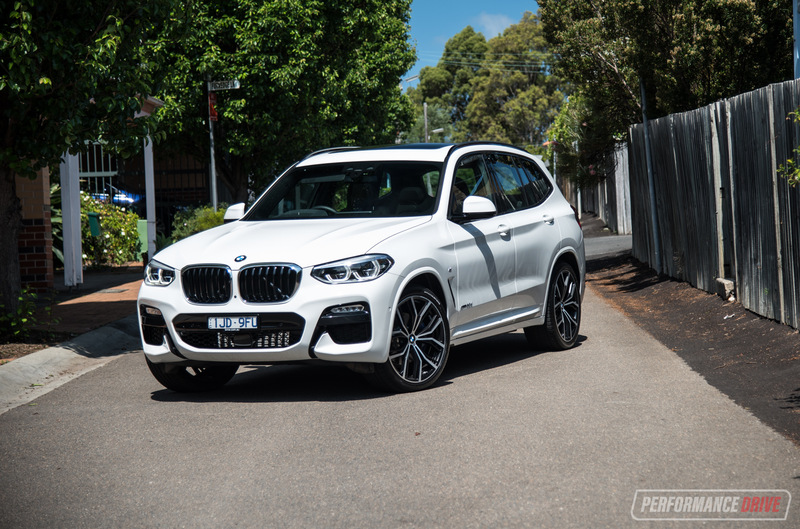 Around corners the X3 is a real joy to drive. It feels like it naturally wants to make turns; it enjoys cornering and doesn’t feel uncomfortable or unsettled, no matter how hard you push it. 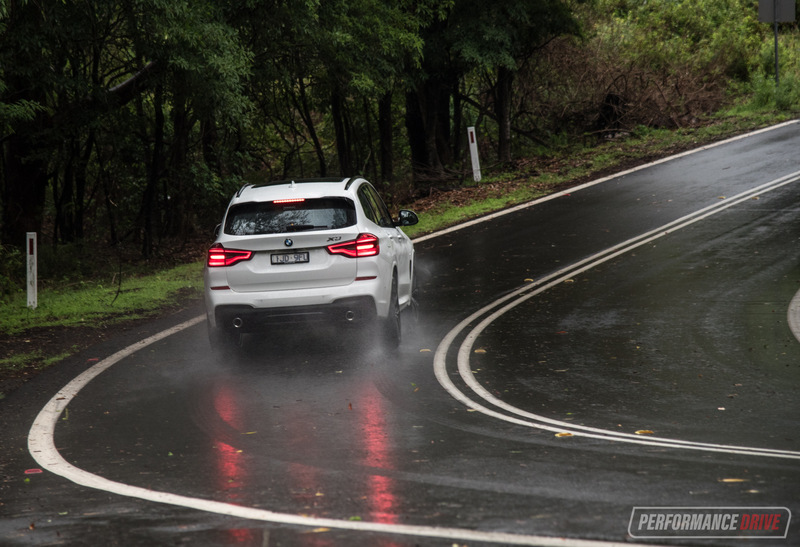 In fact, we experienced some mild oversteer when pushed really hard. This trait is typical of a well-sorted sports car. 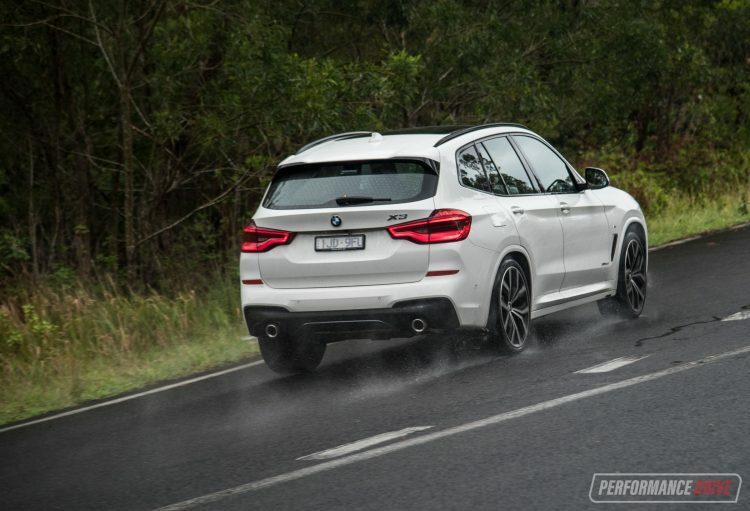 For an SUV to possess such playfulness on the road, it’s a real bonus. The steering is full of communication, and there’s good weight distribution and body control when flipping from tight left and right-handers. We put a lot of this stability and confidence down to the outstanding adaptive M Sport suspension package. 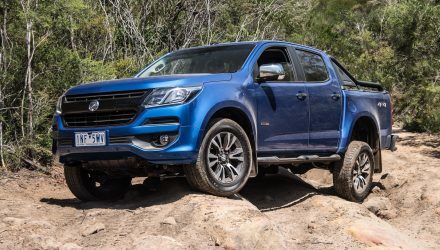 The ride is on the tauter side, especially with the thin-banded low-profile tyres, but we think it provides a nice, rubbery compliance over mid-corner bumps, helping to boost driver confidence and traction. 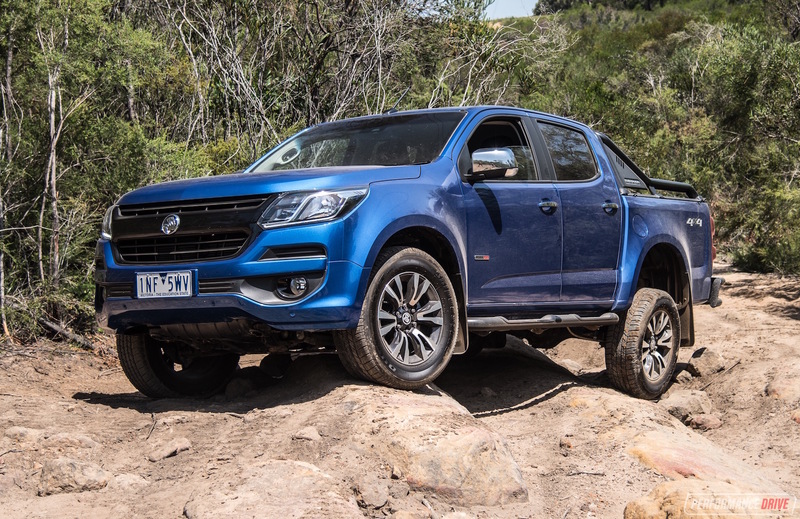 When you pair the excellent handling with the brute engine, you’ll left with a true driver’s machine that is fun to drive in all conditions. We especially enjoy surging from corner to corner with that huge torque on tap. The engine also loves to rev despite being a diesel. 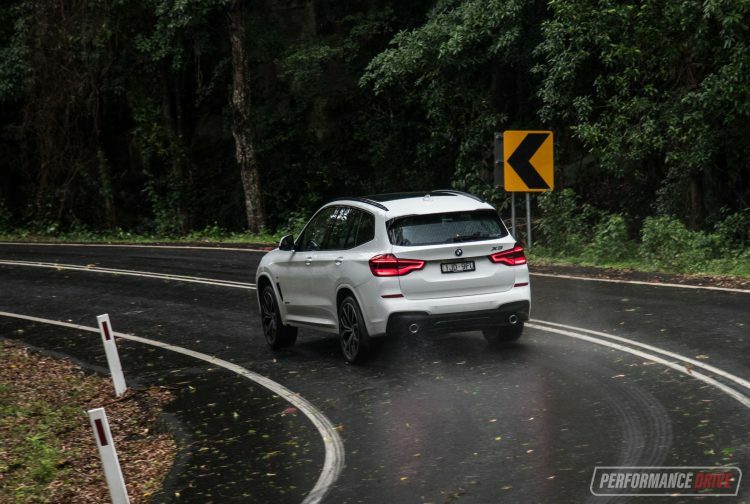 In terms of the measurable performance, we clocked 0-100km/h in an unbelievable 5.57 seconds, and the quarter mile in 14.05 seconds at 152.3km/h. 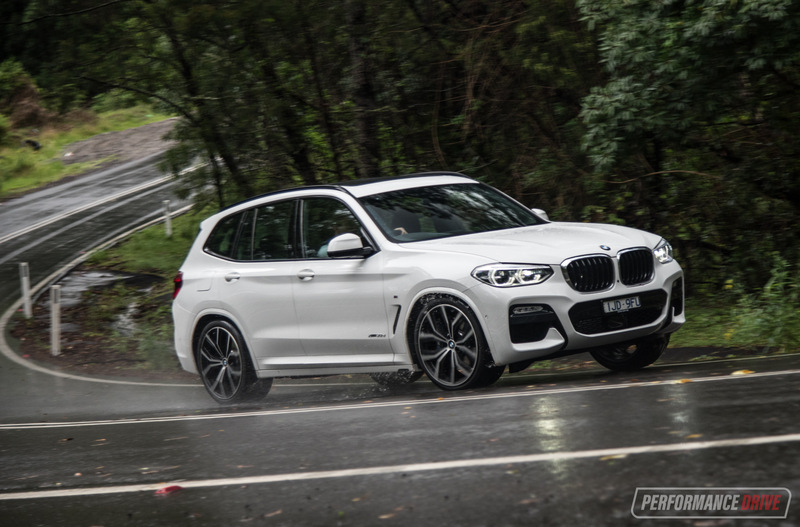 This is quicker than our best 0-100km/h time with the predecessor, of 5.81 seconds, and exactly the same quarter mile of 14.05 seconds (at 153.8km/h). 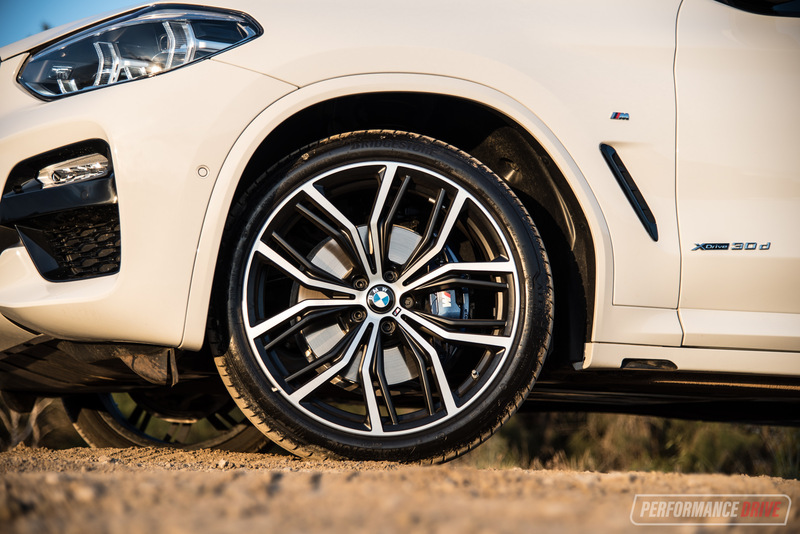 There is some degree of off-road ability with the X3. 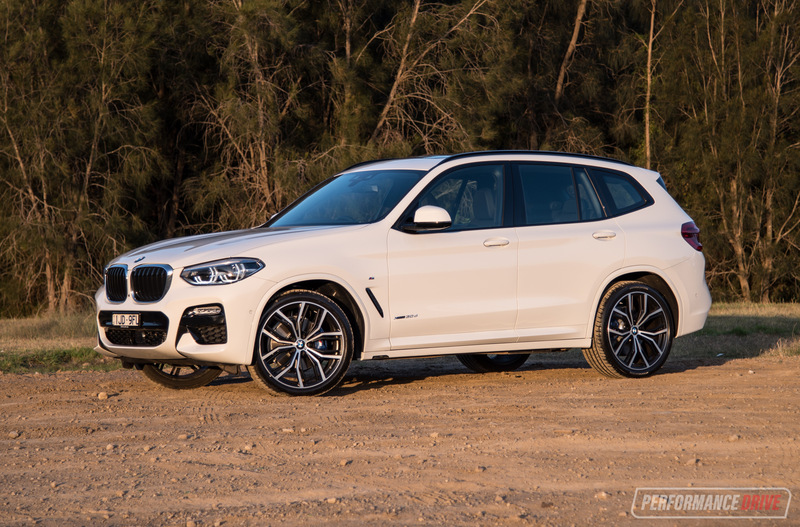 And in fact, BMW says the new model “boasts the same off-road skills as the predecessor”, if that holds any value. Although it’s not improved in this area, it remains reasonably competent in unsealed conditions. 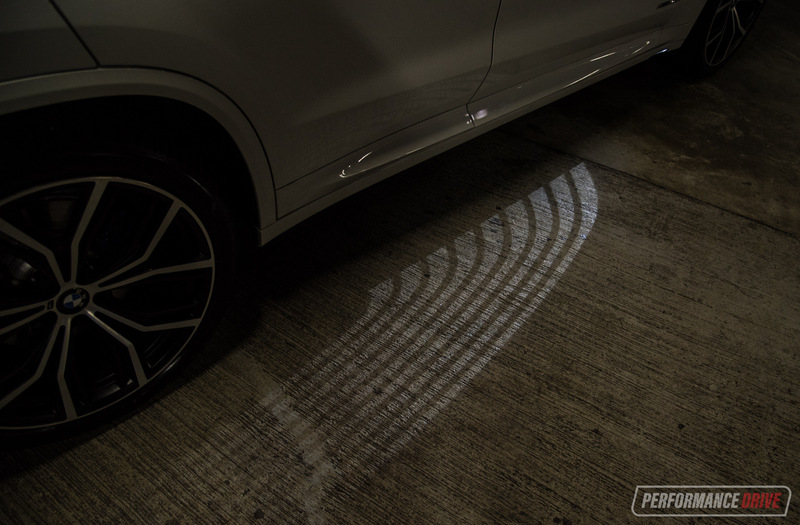 There’s 204mm of ground clearance, a 25.7-degree approach angle, 22.6-degree departure angle, and a water wading depth of 500mm. 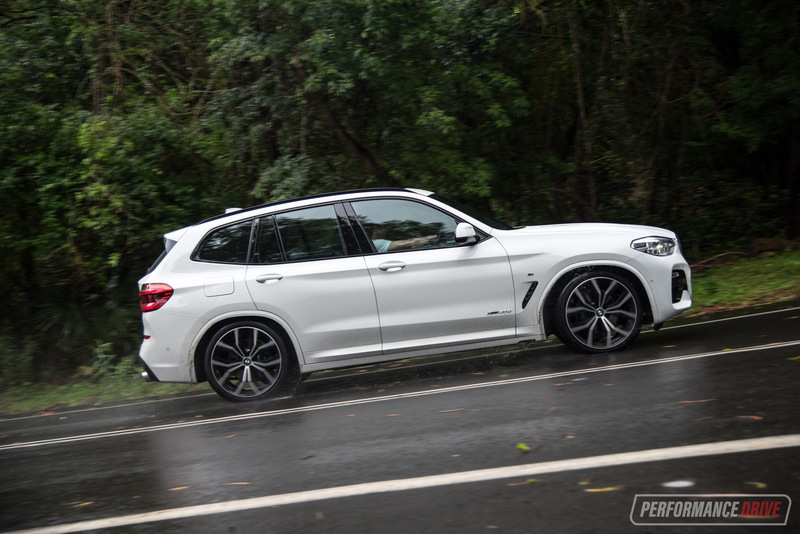 You also get an updated xDrive all-wheel drive system with a modified transfer case, and lighter weight rear differential for improved efficiency. 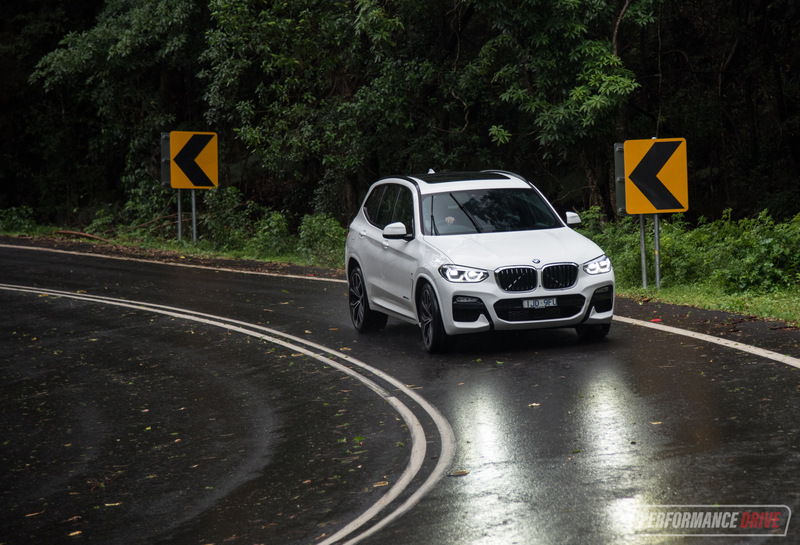 We doubt many owners will be venturing too far from the bitumen anyway, but it’s good to know the X3 has been engineered at some level to tackle dirt roads and rough situations. The same 750kg/2000kg unbraked/braked towing capacity remains, although the gross vehicle mass increases from 2410kg to 2500kg. The old version was already all the car you could ever need in our opinion. 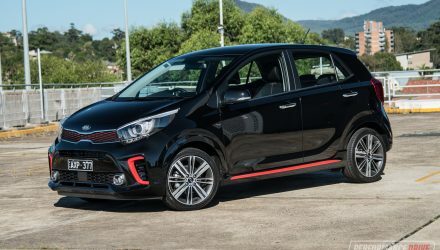 This new model simply and smoothly pushes the boundaries in most areas, making it a very wise option in this vehicle category. With an official fuel consumption average of 6.0L/100km (we averaged 7.2L/100km) and an official 0-100km/h time of 5.9 seconds (although we clocked 5.57), the powertrain is simply perfect. 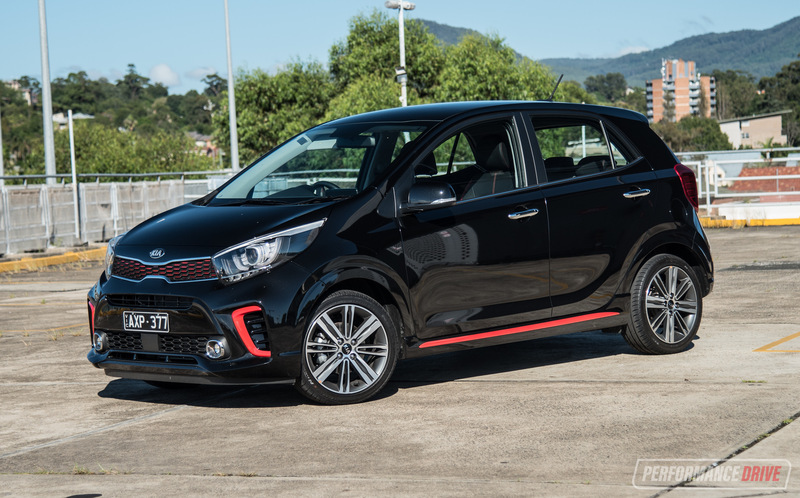 It has the pulling power of a V8 yet it consumes about the same fuel as a small hatch. And, surprisingly, it loves to rev and it does’t sound too bad doing so. It also presents superb handling, a very practical cabin with lots of real-world-applicable conveniences and technologies, and the new X3 is packaged together with decent pricing. Basically, it’s difficult to find another vehicle out there that can match all of this, at this price point. 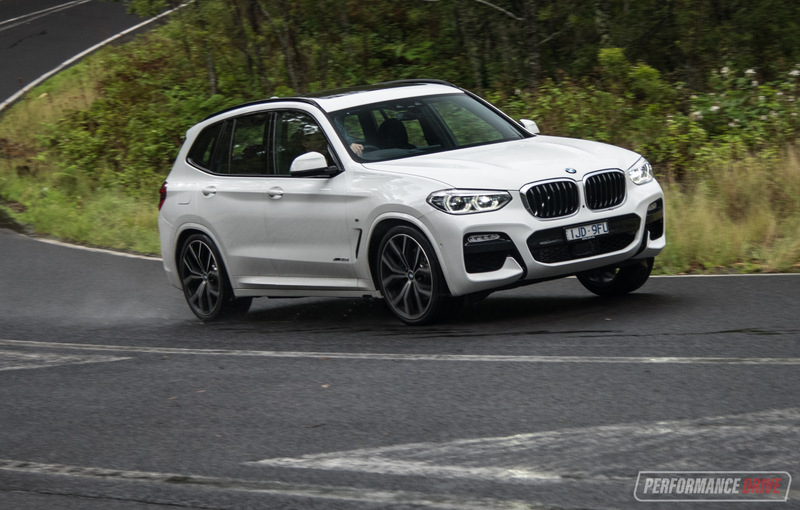 We’re looking forward to seeing how the M40i goes when it arrives later in 2018. Overall, we expect X3 sales to experience a healthy rise over the coming months. 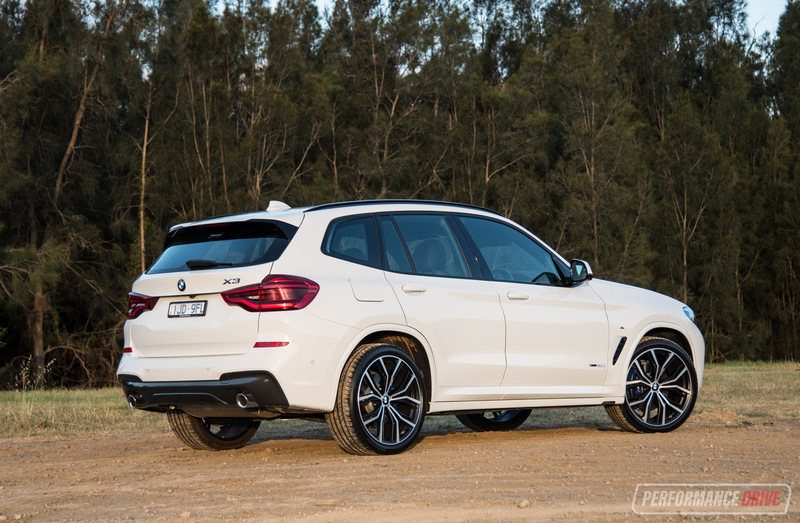 – Looks too much like an X1/lost some of its masculinity?